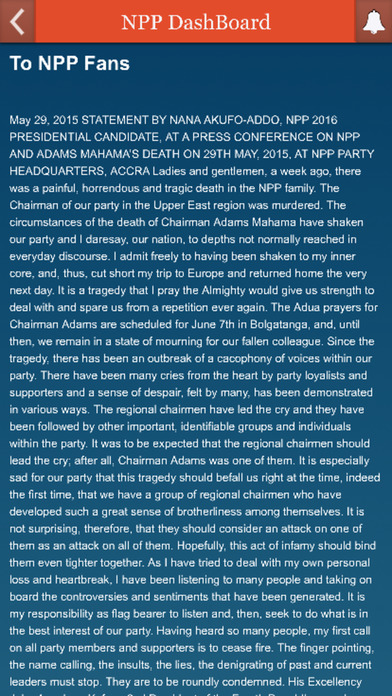 The New Patriotic Party Dash Board (NPPDB), is to promote the party's activities to its fans and sympathizers. NPPDB seeks to project the New Patriotic Party (NPP) to Ghanaians, the diaspora and international community. The NPPDB brings all the silo work within party and across globe together. It is design to foster communication between the party and sympathizers. With this application, members from the entire world can share their thoughts to party or branch executives. 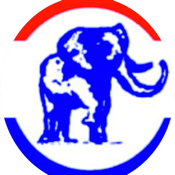 Party Executives can publish events and send alert / notification to members. Interested application can register online to be members and make donations to the party. There are also social/chat forum for members to socialise or network.